This web site allows Kelvin to share code ideas, facts and opinions. Blogging is cheaper than therapy. Kelvin Wong is a recovering entrepreneur and web developer. He is currently doing the bulk of his development in Python. 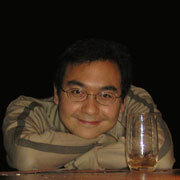 Kelvin studied Computer Science and Software Engineering at the University of Victoria. He also studied Economics and Management at the London School of Economics and Political Science.